Pioneers in the industry, we offer logipac 51 e biscuit wrapping machine, logipac 21es on edge biscuit wrapping machine, ipac 21 rp biscuit wrapping machine, ipac 21 fp biscuit wrapping machine, ipac 21fp 4x biscuit packing machine and ipac 21fp biscuit packing machine from India. 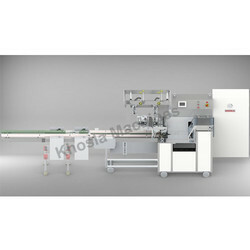 We are one of the leading manufacturers & exporters of Logipac 51 E Biscuit Wrapping Machine. 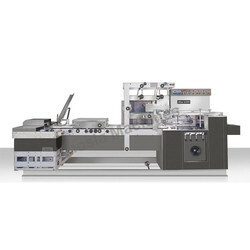 Logipac 21ES On Edge Biscuit Wrapping Machine is a servo based, form-fill and seal machine, specially engineered for biscuit, cookies, cream, wafer, family pack biscuit wrapping. Integrated with advanced technology, these wrapping machines are quite easy to clean, ensuring a high level of hygiene. One can easily change the speed of the machine from 50 to 140 ppm as there is installed an AC frequency control drive. All parts in contact with the biscuits are wisely made out of stainless steel or nylon, thus preventing any kind of contamination. 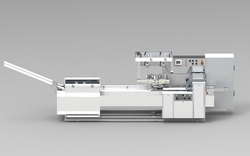 This wrapping machine ensures gentle handling of biscuits with automatic centralised lubrication. There are also attached trolley wheels at the bottom of the machine for easy movement to other place. Any kind of size change in the packing can be done by the variable settings marked on scales. 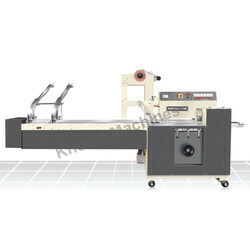 We are one of the leading manufacturers & exporters of IPAC 21 RP Biscuit Wrapping Machine. We are one of the leading manufacturers & exporters of IPAC 21 FP Biscuit Wrapping Machine. We are one of the leading manufacturers & exporters of IPAC 21FP 4X Biscuit Packing Machine. Our extensive lines of industrial air tools are engineered to make your job easier, safer and more efficient. We build tools that stand up to the demanding specifications required by today's industrial manufacturing, assembly and finishing needs. Our line of tools is second to none in power, workmanship and total quality. 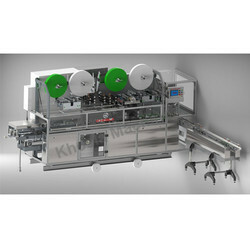 We are one of the leading manufacturers & exporters of IPAC 21FP Multi-Row Biscuit Packaging Machine. Single Row On Edge Packing Machine for Biscuit Edge for biscuit, cookies, wafer, ruck packing can get up to a maximum speed of 120 PPM in packaging biscuits staked on edge. It is a form-fill and seal machine, attached with trolley wheels and capable of increasing the productivity. The parts in contact with the biscuits are made out of high-grade stainless and nylon that is anti-corrosive and non-contaminated. There is an added advantage with this machine that there is no requirement for manually separating the broken biscuits as there is an attached biscuit trap for it. Besides all this, there is also integrated an additional static heater for long seal in the biscuit packs. We are one of the leading manufacturers & exporters of IPAC 21E Biscuit Packing Machine. 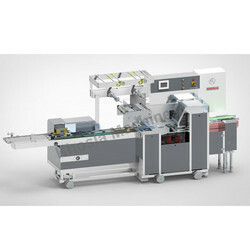 We are one of the leading manufacturers & exporters of Logipac 21 FP 4X Biscuit Packaging Machine. We are one of the leading manufacturers & exporters of Logipac 21ES On Edge Biscuit Packaging Machine. 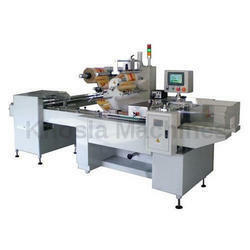 We are one of the leading manufacturers & exporters of Logipac 21 ES Automatic Edge Biscuit Packing Machine. We are one of the leading manufacturers & exporters of IPAC 21FP 4X Horizontal Form Fill Seal Biscuit Packaging Machine. We are one of the leading manufacturers & exporters of Logipac 21 ES On Edge Biscuit Packing Machine. We are one of the leading manufacturers & exporters of Logipac 1010 Biscuit Horizontal Form Fill Seal Machine. We Manufacture technically advanced ice packing machines. Available in various models, this is a vertical form fill seal mechanical intermittent type machine which performs optimally. We ensure that every significant part of this Ice Candy Biscuit Packaging Machine is fabricated from mild steel and powder coated stainless steel.